I’m not going to sit here and tell you how important blogging is for your traffic, leads and sales. You’ve probably heard it before. You might have heard it from me. I’m not out here slinging blogs for the sake of it. Blogging is a powerful tool and one to be embraced. This right here is our 401st blog post. Mazel Tov to us! Now, don’t get discourages, the more you blog, the better you get. Here’s what I have found to make our blog posts extra special. 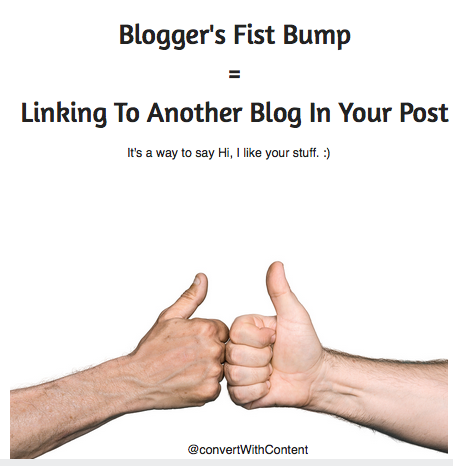 Internal linking is linking to your site from within your blog post. You can link to a landing page. You can link to a sales page. You can link to another blog post. You should do all of these things. The idea is to move people throughout your site and take them down the content marketing sales funnel. The more you blog, the more you’ll have to link to. Plus, it allows you to showcase your expertise and prove your point further. Sounds too good to be true right? It’s real. Oh, and I hear it has SEO benefits as well. You don’t have to have an internal link in each post, it’s better to be natural. This is when you link to other sites out there on the web. This is also a great way to prove your point further, but what I love about it is a great relationship builder with other bloggers. It’s like a blogger’s fist bump. You are saying hey blogger, I like what you got going on, keep it up. Because blogging is a community, it also increases your chances of getting other bloggers to reciprocate. Images are the first thing people see when they come to your site from social sites. They can bring people in or they can turn them off. Each blog post should have at least one image. If you can add more images, do it. There are so many different tools out there that allow you to edit images easily, so not including an image is just lazy. 🙂 I like Canva for creating blog images, they even have a template that you can use so it is sized nicely. It doesn’t get much easier than that. Your voice will develop over time, but it is important to have one. I like to think of mine as talking out loud. Can you hear it. Literally what I write is what I am saying in my head. It’s fun and adds personality. The tone and voice is what connects your readers to you. It can be a very powerful thing I hope you guys feel connected to me. Your blog should also be relevant to your industry. The more relevant you are, the more likely you are to get repeat readers. Repeat readers are the right readers. Your blog posts are great for SEO results. Don’t think about over-optimizing them. Just think about writing great content. Then think about the optimization. We use YOAST and it is great to help you get a target keyword, the right meta description and title. It’s like a mini-checklist and it works really well. 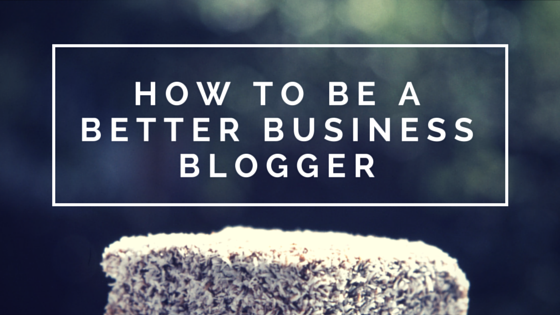 What makes you a better blogger? Stephanie Frasco started helping businesses get results with social networks before Twitter even existed! Stephanie has worked directly with high profile clients like Oprah, Atlantic Records, Dashlane, The International Culinary Center, & many more. She specializes in helping business owners and marketers find massive ROI by developing targeted social campaigns focused on *engagement strategies* that work!